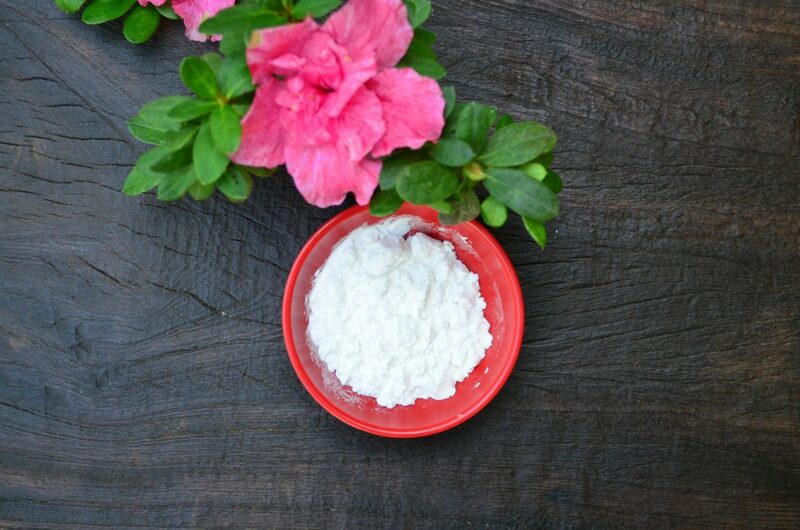 Talcum powder has many wonderful uses and can be used for both oily and dry skin. Talcum powder, especially homemade talcum powder is good for treating itching, rashes and pimples. We usually think of talcum powder as just a dusting powder but it has other uses that will really surprise you. After the latest ovarian cancer scare using talcum powder, many are hesitant to use talcum powder. Even I stopped using store bought talcum powder. But I love talcum powder so I have started making my own talcum powder without any talc. Talcum powder is a dusting powder for face and body. It is usually made with talc as a base. Talc is actually a clay mineral that mainly comprises of hydrate magnesium silicate. One main problem with talc is it co exists with asbestos ore in many of the places it is found. Some of the places it is commonly found are Himalayas, Northern America and some parts of Europe. Usually corn flour and fragrance is added to talc for making talcum powder. The fragrance used in store bought talcum powders are usually synthetic fragrances. Some other hydrating ingredients like Aloe Vera extract and vitamin E are also added to the talcum powder. Nowadays we get talcum powders for babies made with just corn flour alone along with hydrating ingredients and fragrance too. Now one of the biggest scare regarding the use of talcum powder is it’s association with cancer. When I first read about the association of talcum powder and cancer, it really upset me. When my son was a child, I used to regularly apply talcum powder for him on a daily basis. Certain lab studies have linked the risk of ovarian cancer and the usage of talcum powder in the genital area. Using talcum powder on our face also is said to increase the risk of lung cancer. This is said to be due to the contamination of talcum with asbestos. After reading all these studies, I have started making my own homemade talcum powder at home and I have shared the recipe for it below. If you don’t want to use store bought talcum powders, you can make one easily at home without any talc. Talcum powder can be used as a dry shampoo. If your hair is greasy and dirty and you don’t have time to have hair wash, you can use talcum powder as a dry shampoo instead. To use, sprinkle talcum powder all over your hair and gently comb it with a wide comb. Since talcum powder has good absorbent properties, it will remove excessive oiliness easily. If you get your waxing done in beauty parlours, you would have noticed them applying powder first on the skin before applying hot wax. When we apply talcum powder on our skin, it absorbs excess moisture, this makes the wax stick on to our skin firmly which makes hair removal very effective and a little bit painless too. A primer is a product that is applied first as a base coat before applying make up. Primers help make up lost longer and they also smoothen and even out the skin tone priming the face for make up. We get loads of primers in liquid and gel forms in the markets but the cheapest one is using talcum powder. To use, apply a thin layer all over the face before applying make up. When we use talcum powder under arms or on our body, it absorbs excessive sweat and greatly helps prevent body odour. Talcum powder is also a good alternative for people who have deodorant allergies which usually results in darkening of the underarms. When you are making talcum powder at home, add a few drops of tea tree essential oil to make it more effective. Another great use of talcum powder is it can double up as a concealer if mixed along with a foundation. You don’t have to buy expensive concealer if you have talcum powder at home, all you have to do is add enough talcum powder to foundation to match your skin tone and apply on the area that you want to conceal! One big problem many of us face during winter months is smelly feet and shoes. This is because of excessive moisture inside the shoes which causes bacteria to grow leading to smelly feet. One simple trick to avoid it is to sprinkle your feet with talcum powder before wearing your shoes. This will absorb excessive moisture and greatly prevent smelly feet and shoes. Some people experience chaffing when they walk or run during hot summer months. This is due to friction and is especially common in inner thigh area. To prevent it, sprinkle talcum powder in the areas that you experience chaffing. I would suggest using unscented talcum powder for best results. During hot summer months prickly heat is a common problem and though not a serious condition, it can lead to itching which can get uncomfortable. All we have to do is sprinkle little bit of talcum powder and it will go a long way in preventing prickly heat. Also I would I would suggest adding few drops of essential oil that have anti bacterial properties. This is one hack that we follow regularly at home, when we play carrom board we always sprinkle talcum powder on the board before arranging the carrom cons. This will help the striker move easily without any friction. We always sprinkle after each game and it greatly helps. Try it out the next time you play carrom board. The first ingredient we need for the recipe is corn flour. Corn flour absorbs moisture and is silky smooth so it is always used in talcum powders. We can get corn flour in all the departmental stores in India. The second ingredient we need is rose petal powder or sandalwood powder. We get rose petal powder in all the herb shops in India. 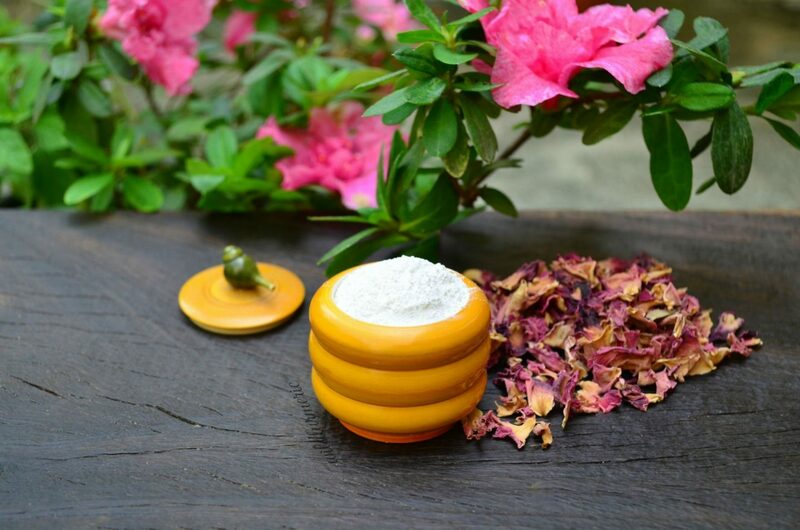 Try to buy organic rose petal powder for best results. If you’re making it at home, collect fresh rose petals and sun dry them till crisp. Once sun dried till crisp, grind in a dry mixer, sieve and use. For men, sandalwood powder is a very good option. 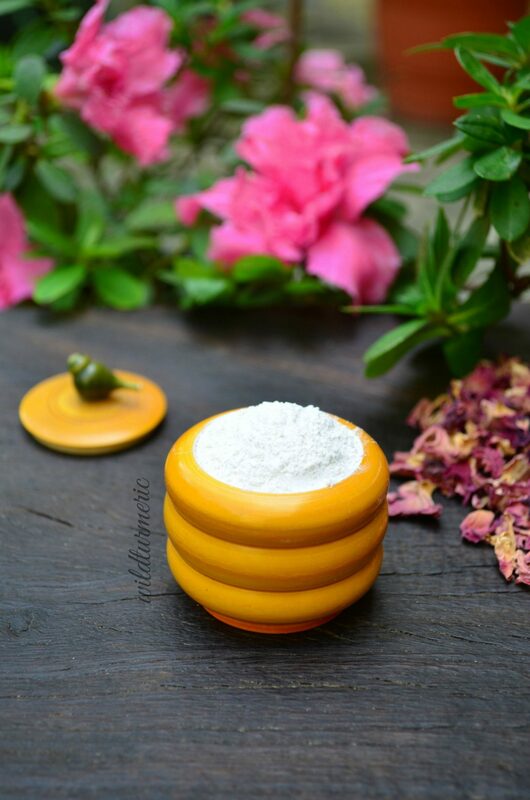 The third ingredient we need is kaolin clay also called as china clay. It’s a very very fine and light clay that has natural absorbent and cleansing properties. It is the mildest of all clays and does not try out the skin at all. It is hard to get good quality china clay in shops in India, I usually order it online. 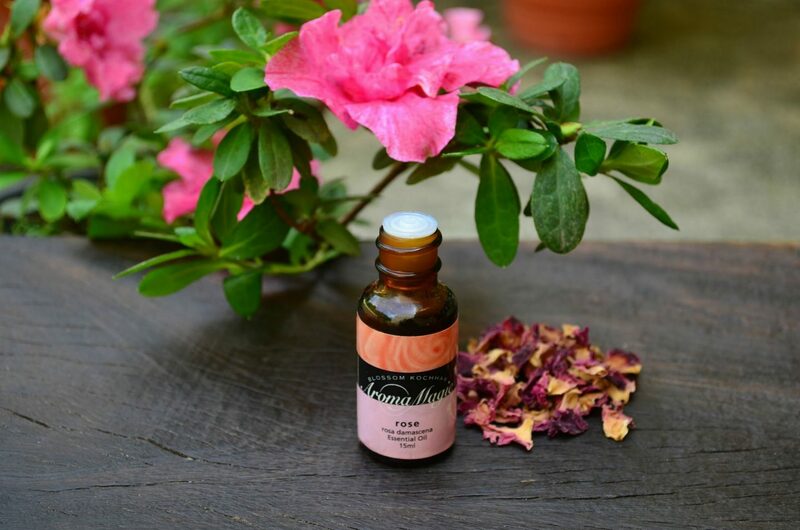 The final ingredient we need is rose essential oil or sandalwood essential oil. Both these essential oils have antiseptic properties so they greatly help prevent skin infection and body odour. For men use sandalwood powder and sandalwood essential oil and for women use rose petal powder and rose essential oil. 1. To make the powder, take two tablespoons of corn flour in a bowl. 2. Add in a tablespoon of kaolin clay to it. 3. Add in a teaspoon of rose petal powder or sandalwood powder too. Finally, add in five to six drops of rose essential oil or sandalwood essential oil. Now mix well with a spoon. 4. If there are any lumps, sieve the mixture and store in an airtight box away from moisture. This powder is satiny smooth and smells really really wonderful. I would suggest making small batches so the smell remains fresh. Though you can use this powder for children, I’ll share an even more milder body powder for them soon. 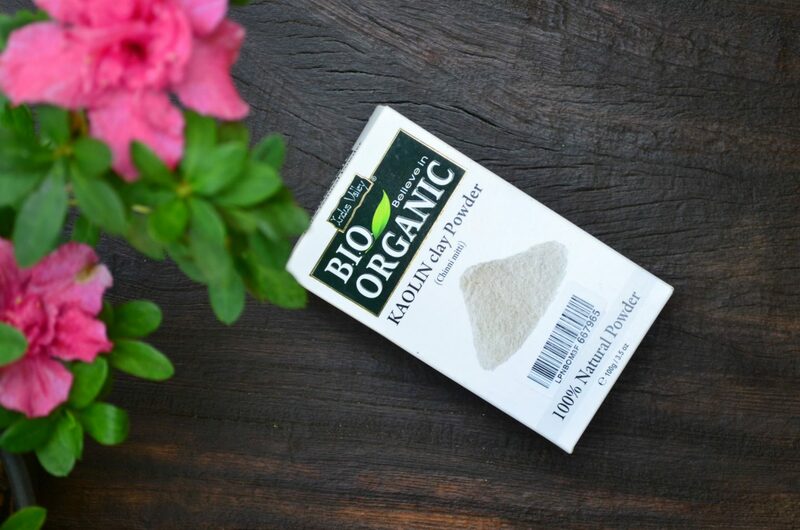 I would highly suggest substituting store bought talcum powder with this natural body powder. This powder does not spoil if stored away from moisture but the smell will start fading if stored for too long so I would suggest making only small batches….